Trulance/Plecanatide Cost, Side effects, Dosage, Uses for Chronic Idiopathic Constipation (CIC). Trulance is manufactured by New York, New York-based Synergy Pharmaceuticals Inc.
U.S FDA approved new drug Trulance that contains active ingredient plecanatide for the treatment of chronic idiopathic constipation in adults. Trulance/plecanatide belongs to a class termed as Uroguanylin analog. These agents increase the activation of guanyl cyclase C in the luminal area of intestines. Increase activation of guanyl cyclase C gives rise to fluid retention, intestinal motility and rapid intestinal transit time. Constipation is very common problem in among all kind of populations. Constipation may occur in any person without regard to age or gender. 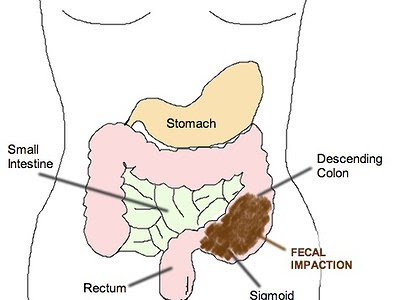 There are number of reasons that trigger constipation problem like low or no fluid intake, impaired intestinal absorption, impaired intestinal motility, chronic disease of intestine, lack of fiber in the diet and last but not the least side effect of drugs like morphine. Basic mechanism by which Trulance/plecanatide tones up intestinal motility is that it increases the activation of guanyl cyclase C (GC-C) in the luminal area of intestines. Such rise in activation of GCC leads to increase in cyclic guanosine monophosphate (cGMP), anion secretion, fluid secretion, and intestinal transit. In this way it subsides the symptoms of constipation. According to clinical data provided by health authorities this drug is not suitable for children having age below six years. This drug withdraws some amount of water from intestines thus it will increase the risk of dehydration especially in children. In adult, following side effects were observed during clincal trails. U.S FDA approved this drug for the treatment of chronic constipation of unknown origin (idiopathic) in adults. If patient is suffering from constipation due to known cause like low or no fluid intake, impaired intestinal motility or drug induced constipation then this drug should be avoided and root cause treatment should be followed. This drug is taken orally. Standard dosage frequency of trulance in adults is 3mg once daily. However, its safety and efficacy has not yet evaluated in patients having age 6 yrs to <18 yrs. Trulance is now available at retail outlets. Single pack of this drug contains 30 tablets with potency 3mg of plecanatide per tablet. Cost of single Trulance pack ranges between 360$ to 390$. This price may variate with the passage of time so, make it confirm by visiting your nearby pharmacy before purchasing.